Within the next 45 years, nearly $59 trillion dollars is up for grabs. Don’t run to check your bank account balance or buy a lottery ticket just yet though, as unfortunately, this money is already earned. What this number references is the greatest intergenerational transfer of wealth to ever occur. The much cited study “A Golden Age of Philanthropy still Beckons” of the Boston College Center on Wealth and Philanthropy predicts that this astounding transfer of wealth will be channeled towards three main recipients: heirs, charities, and taxes. The question that awaits to be answered is who will benefit from this transfer and how much of it will the charitable sector see? Considering these three categories, we allowed ourselves the assumption that taxes will be the least favored, leaving the other two as the likely recipients: heirs and charities. This study, alongside the larger discussion about inheritance and charity, has long garnered significant attention. Within the past century or so, starting with Andrew Carnegie and culminating with Warren Buffett, charitable acts have become central to those who have accumulated extensive fortunes. According to Carnegie, arguably the founder of modern philanthropy, it is the rich’s duty to give back to society as philanthropy is necessary to solving inequality (see “Gospel of Wealth”). More recently, Darren Walker, President of the Ford Foundation, calls for a revised gospel of wealth that takes into account today’s technological capabilities and addresses the root causes of inequality, i.e. the very economic system that has made modern philanthropy feasible. Carnegie’s present day counterparts such as Warren Buffett, Bill Gates and Melinda Gates, have instituted their own “Gospel” in the form of the “Giving Pledge” where Buffett calls on the world’s richest persons to give away the majority of their wealth during their lifetime. It is in this Giving Pledge, which appears to be growing every year, where we can see the attitudes of modern philanthropists and the reality of this transfer of wealth. This begs the question, why did Carnegie feel the need to write his Gospel and why has the Giving Pledge become so popular amongst the world’s billionaires? At the Concordia Summit in September, Buffett revealed what he considers to be the most significant aspect of the Giving Pledge. We often hear that success is what is measurable and quantifiable. Yet, according to Buffett, the success of the idea lies not in the increasing number of Pledgers, nor is it in the vast amount of funds that have been pledged, but it’s best reflected in the Pledge Letters. These carefully chosen words, some very personal, other objective and rational, have one thing in common: they all provide an example of why someone made the choice to give. These letters may inspire, motivate or shape the next generation of philanthropists. If we forego Carnegie’s comments about capitalistic societies, we still find a man who was determined to set an example for America’s future billionaires and his own contemporaries. Carnegie promised to make his society better by building and funding hundreds of libraries across the country. He succeeded, especially considering how his philanthropic declarations and actions inspired the Rockefellers, Fords, Mellons, MacArthurs, and so many other wealthy families that established some of the largest private foundations that still thrive today. While Carnegie ignited a philanthropic passion in his contemporaries, Buffett and Gates have taken it a step further. The Pledge (or perhaps its founders) is unique in that it has managed to unite philanthropists across the world for the first time in history. As global wealth continues to grow, we witness many diverse regions of the world come into extreme wealth and according to Wealth-X “the UHNW population is expected to exceed 318,000 by 2020”. Fully aware of this trend, Buffett and Gates have engaged these new billionaires across the world and have shown them what they can achieve with their philanthropy. The Pledge was never meant to set any constraints on how to spend one’s money. Quite the opposite. Buffett repeatedly affirms that he is not there to tell people what to do with their money. Buffett and the Gates family instead wish to reaffirm that once a certain level of wealth is reached, there is no need for anymore. In other words, there is no reason why that wealth should be kept within one’s family, when it can make such a difference as philanthropic giving. 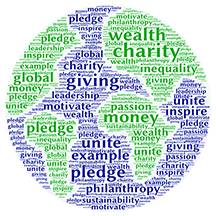 In this sense, the success of the Pledge should not be measured by how much philanthropic capital it has attracted but how many individuals have signed it and what they have declared to be their philanthropic passions — as the real power of the Pledge lies in how these Pledges will motivate future generations of philanthropists. Buffett is not asking for his peers to regale us with details about their philanthropic spending, as he recognizes that philanthropy is a private, if not intimate decision — but the fact of the matter is that when charity is made public to any degree, it encourages others to give as well. In continuing our quest for philanthropic inspiration, we can find another example of this in the unlikeliest of places, a bottle of salad dressing. A New York Times article in November explored how the famous American actor, Paul Newman, became an inspiration to many of today’s biggest celebrities. Newman’s Own brand, which commits its profits to charitable efforts, has become a staple in American households even if few recognize its philanthropic aspect. But it was the celebrity of Paul Newman himself that infected future generations of celebrities to devote at least some aspect of their lives to giving back. Hugh Jackman, Edward Norton, and Kevin Bacon are some of the stars that, according to the article, were so struck by Newman’s selflessness that they have attempted to follow in his footsteps but with their own passions leading their philanthropic efforts. What will perhaps be of the most interest is how the Pledge continues to spread across the world, and what these global signatories will pledge their money towards. So far we have seen how those involved have adapted the Pledge to fit their cultural context and their personal motivations. Take Hamdi Ulukaya, the founder of Chobani and a billionaire who is of Turkish descent. Ulukaya is also a member of the Giving Pledge and has committed the majority of his personal wealth to providing opportunities for refugees. Or see Prince Alwaleed bin Talal, an investor from Saudi Arabia, who has committed much of his wealth to disaster relief, empowering women and children, among other causes. Lastly, take Kiran Mazumdar-Shaw, an Indian-born entrepreneur who has devoted her Pledge towards improving healthcare in underserved regions of the world. What remains constant and true in the case of Carnegie, Buffett, Gates, Newman, or any of the other philanthropists mentioned above is that philanthropy is mostly driven by personal motivations. Carnegie believed that education and knowledge were paramount to a successful society, so he funded libraries across the country. Gates, the original tech icon and startup founder, has committed his foundation to using technology to solve the world’s most pressing issues. While philanthropy is mostly driven by personal motivations, what is key is to have the philanthropic thought ignited in the first place. In this sense, the examples of Buffett or Newman act as the spark to ignite an underlying passion to commit one’s time or money to a charitable effort. Newman used his celebrity to bring attention to his favorite causes and served as an example to future generations of stars. Buffett, on the other hand, seeks to instill in his contemporaries that as multi-millionaires or billionaires they and their children do not need the entirety of their fortunes to lead happy and productive lives. What is true in both cases is that neither Newman or Buffett are telling others how to spend their money in philanthropy, merely that it should be done. Philanthropy used to be considered confidential based on reasons ranging from beliefs about social indecency (akin to talking politics or religion), the conviction that true altruism would not entail name recognition, or the more skeptical notion that the donor would then be subject to endless requests from other organizations. Regardless, where one chose to give their money largely was kept close to the family. This attitude has not necessarily ceased to exist, but it proves more and more difficult given how connected our world is. And just maybe, we should welcome this change brought to us mainly by technology. In the age of the internet, the philanthropy of a Chinese billionaire can receive just as much attention as an American one, and can just as much motivate. While the ramifications of the publicization of this once private choice are not without issue, the continued expansion of the Giving Pledge can only be a good thing. For the rest of us, these philanthropists are admirable, and while they are likely rather unrelatable, their actions are at the very least reinforcing. We might find our own call to action, perhaps not in the Pledge, but in our families, friends, or colleagues. Nonetheless, we all have the inclination to give back. The Pledge is just one example, albeit a significant one, showing that sometimes we just need a little encouragement or someone to set the path for the rest of us. 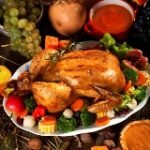 Perhaps Buffett summarizes it best in his own Pledge, “I’ve worked in an economy that rewards someone who saves the lives of others on a battlefield with a medal, rewards a great teacher with thank-you notes from parents, but rewards those who can detect the mispricing of securities with sums reaching into the billions. In short, fate’s distribution of long straws is wildly capricious [..] Were we [the Buffet family] to use more than 1% of my claim checks on ourselves, neither our happiness nor our well-being would be enhanced. In contrast, that remaining 99% can have a huge effect on the health and welfare of others. That reality sets an obvious course for me and my family: Keep all we can conceivably need and distribute the rest to society, for its needs. My pledge starts us down that course”. Whether or not we will witness this fabled intergenerational transfer of wealth to the extent that the earlier cited study claims, it seems clear that, at least in our mindset, we have already entered a new golden age of philanthropy. The Smithsonian Museum of American History in D.C. now has a permanent exhibition titled “Giving in America”, which explores the history of American philanthropy. Next time you’re in D.C. we recommend taking some time to visit the exhibit and celebrate the best in all of us.